This is an original private walking tour which you can enjoy the unknown Tokyo downtown Yanaka area as well as a popular tourist spot, the Meiji-Jingu Shrine. The guide will pick you up at a centrally-located Tokyo hotel at 9am and show you the sacred Meiji Shrine first. 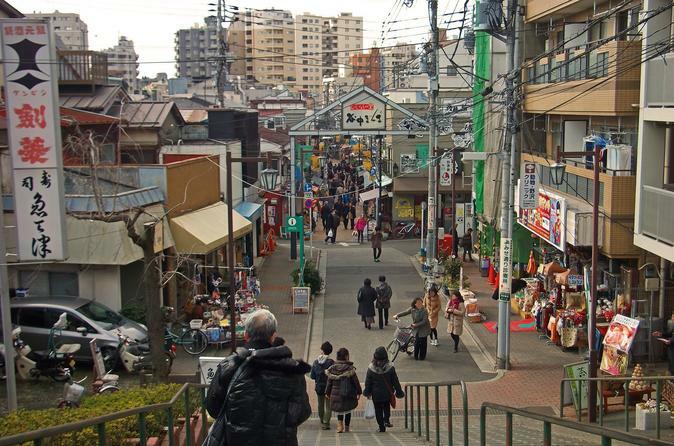 Then, you'll move to downtown Yanaka, one of so-called popular "Yanesen" area. There, you'll visit a museum famous for having the most beautiful Japanese garden. You can also enjoy lunch around there and the tour will end around 1pm. You'll be picked up at your hotel at 9am and the guide will take you to Meiji Shrine by subway or JR train. Meiji-Jingu Shrine is one of the most respected Shinto shrines in Japan. Every year, over 3 million people visit for the first prayer of the New Year. It is dedicated to the divine souls of Emperor Meiji and his consort Empress Shoken, although their tombs are in Kyoto. The Asakura Museum of Sculpture, before opening to the public as a museum, was the studio and residence of Fumio Asakura, a leading sculptor of modern Japan from the Meiji, Taisho and Showa periods. The building is listed as a national cultural property, and the premises as a whole as a national place of scenic beauty. The guide loves the Japanese garden here very much and will explain to you regarding it. Near the museum, you can visit the Yanaka Ginza street. It is located in the area called "YaNeSen," a heart-warming area in Tokyo. This area displays the traditional shopping area where you can explore typical Japanese daily goods. Lunch will be taken at a Middle Eastern cuisine restaurant, which is recommended by the guide, but subject to change at your request. The order and duration for each place is also subject to change per your request.